Living Proof Live Waco 2016 | Recap from LifeWay Women on Vimeo. This entry was posted on Monday, March 7th, 2016 at 1:23 pm	and is filed under Living Proof Live. You can follow any responses to this entry through the RSS 2.0 feed. You can skip to the end and leave a response. Pinging is currently not allowed. LPL keeps bringing “Light” through Christ Jesus! GRATEFUL! I was wondering what Bible Beth was using at the conference in Waco. My granddaughter wants a red-edged ESV Bible for her college graduation present and I have not been unable to find one. I notices that Beth’s was red-edged and I believe it was an ESV. I am totally SHAKEN UP after sharing the joy and love of Jesus Christ with so many sisters in Christ. WOW!!!! I am grateful for the opportunity to meet and fellowship with these sweet ladies. 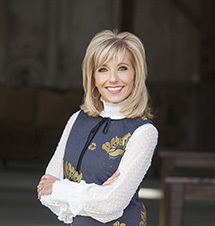 The words of encouragement and challenge from Beth Moore were just what I needed. I am so blessed to have been able to attend this conference. Being able to greet the ladies attending as they arrived was a great time for me. Thank you to the entire staff for all the planning, planning and love that you put into making this event happen. God bless each of you. The blood of Jesus speaks for me……!!!!! Travis, the song. Oh my. The Blood of Jesus Speaks for Me. No other words needed. PLEASE keep posting these recap videos, they are SO powerful and confirming. Thank you to all the talented individuals involved and Glory to God in bringing Christ, through His Spirit in you, to these events and to those of us who are unable to make it to an event. I am so thankful for your ministry. I needed this today!! Beautiful recap! And I absolutely love that song!! Thank you to the whole LPM team for your obedience to God. Have a blessed week. Will you please print the words you, Beth, had us say to one another at the end of the conference? Those words were powerful and very encouraging! Hi Kim, We are so happy to know it was encouraging for you! Watch for it to come via email to you. The conference was amazing .. And right on where God has me and our church. I would like to request the availability of the commission that Beth prayed over us at the end. Is that available somewhere or can a copy be sent to my email ? Hey Gina! Happy to share it! It will come via email in the next few days. LPL Waco is reasonating in my mind. It was as if Beth was at my address personally. I would really like to receive the commission Beth has us recite. Your assistance would be greatly appreciated. Watch for it via email in the next couple of days, Temple! Can you also send this commission to my email? I attended this event with my dear cousin who has since died from metastatic breast cancer and I would like for the minister to read part of it at her service this Saturday. Thanks and God Bless? Yes, of course, Amy! I am so, so sorry to hear about the loss of your cousin. Ohhhhh, “The blood of Jesus speaks for me” —-Thank-You Travis for writing that song and sharing it with us at the Siesta Celebration. To hear it again, here , ohhhhh, Jesus —You overwhelm me with Your Goodness and Awesome Love! Again how wonderful! It is always a blessing to get to come. It is amazing how quite and still everyone is while you speak. Be still and know that I am God. Everyone wants to hear what God has for them through you. Awesome! I just love all of the recap videos! This one was especially good, so many happy tears, must have been such a powerful weekend! Love this song so much too. See you in Chicago Sept. 17! I was so blessed to be in Waco to hear Beth give this lesson on “Shaken”. It is so ridiculously connecting with me on our current Bible study at church “Brave”. I know that God gifted me with these 2 studies at the same time to reinforce just how Awesome He is! Then I hear her today on Life Today and I feel even more Faith surging through my body. I was the woman who lived right, but left off the “By Faith” part. I stood up in Waco when Beth asked people who needed prayer for chronic disease that “suffering” is a huge part of. I was so blessed that three sisters in the faith prayed over me as Beth prayed, and more than anything, God cleared my mind! I do not want to believe for “little” things, I see opportunities every day for Him to use me, and maybe this “Shaking” means I’m on the threshold of a calling, as Beth stated. As I took notes, I wrote, “I’m claiming this” beside that! If it is of God, I want it! Thank you, Beth, for helping lead me back to my First and Greatest Love! Amen, Beth! Thank you for sharing that with us! May God continue His sustaining work in you. Thank you everyone for a wonderful and powerful Waco event! i would like to get a copy of the reading we all said together at the very end. Repeating after Beth, it is very impactful and something we need to be reminded of. Please let me know where I can find a copy? Thank you and continued support and blessings! Thank you for sharing, Chery! We will send you a copy via email in the next few days. Blessings! I was on my way home from work tonight – 25 miles from home – driving on the interstate in the dark, in flash flooding rain, and lightening. I am always afraid of driving in bad weather. As I was focusing on the road I had this thought that when I get home I am going to be so tired from the stress of driving in the rain that I will not feel like doing anything. Then all of a sudden, you came to my mind and I remembered your telecast on TBN recently where you talked about your experience with Jesus in the storm on the beach. At that moment, my focus changed from being afraid to excitement about driving home with Jesus in the storm. The caution of driving safely was there but the fear was gone and peace took its rightful place in my heart. I arrived home safely with joy. Thank you for sharing your experience. I know that the Lord brought your experience to my mind because He wanted me to know that I could have joy right in the midst of the storm. I enjoy your ministry every Wednesday night. That’s beautiful, Vicky! Thank you for sharing! I have stumbled so much on my faith walk, but when I pay attention to the subtle ways in which Christ works in my life I am forever changed. Beth is anything but subtle and I love that I have been introduced to her teachings! Always so moved to tears when God totally shows up for me at these conferences. This was the exact message I needed! I’m choosing joy!!! I wish I could know God like you do. The conference was such a blessing! Could you please send me the commissioning from the end? That was a very special time for me with a dear friend. Thank you so much, Beth. For drawing me closer to my Lord in my walk with him. These last couple weeks my husband and i have been struggling in our marriage. Ever since February 1st i have been listening to your bible studies. We’ve been together for 25 years. And my husband is my best friend in life. In January of this year we renewed our vows. Could you please send me Beth’s commissioning statement we recited together with a friend at the end of Springfield, MO event.